Adobe After Effects Creative Cloud (for Mac) is an industry-standard program used to composite visual effects for major films and create animation for cartoons and stunning motion graphics for commercials. With After Effects you can add visual effects to your stills and footage, then bring them to life, adding titles and color correction. This course covers the fundamentals of the program, including a walk-through of the software UI. We’ll start slow and finish well-informed. Students learn how to use After Effects to track, animate and mask layers, create 3D text for titles, and composite live action footage and still images together to create exciting new compositions. Then we’ll use the Unified Camera tools and lighting to bring your still images to life! The instructor provides one-on-one coaching and offers additional tips and tricks along the way. By the end of the course students have learned the techniques to become highly productive with After Effects and how to mix in some features from a few of the other Adobe CC programs as well. Basic Photoshop or Illustrator knowledge is beneficial but not required. iMacs loaded with Adobe Creative Cloud software are provided. Bring a hard drive or 32GB USB flash drive to back up course files. Access to the FilmNorth edit lab and After Effects software is available outside of class throughout the course during business hours (M-F, 10:30–5:30). Tony Riley holds a BFA from the Cleveland Institute of Art and a Master of Science in digital Imaging and Design from NYU. He has served on the board of the local MSP ACM/SIGGRAPH chapter, spending two years as Chairman working to strengthen the broader filmmaking, animation, and digital creative communities. 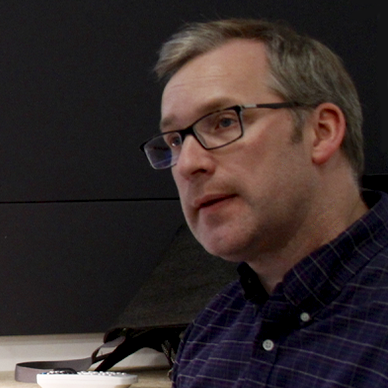 Over the years he has taught animation, broadcast graphics and Adobe’s never-ending suite of software titles. He has worked as a contractor and on-staff at several of the Fortune 500 companies located in and around the Twin Cities. Tony is an award-winning animator, illustrator, and designer and is currently plying his creative chops to user experience, designing software interfaces for the medical community. Tony moved to the Twin Cities from New York City in 2012. Space is assigned on a first-come basis. Registrations must include payment in full. Registrations are accepted after registration deadlines if space is available. 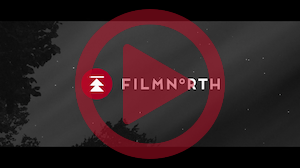 If minimum enrollment has not been reached by 5 days prior to the start date of a class, FilmNorth may cancel it, in which case registrants will immediately be notified and receive a full refund within 5 business days. A check will be issued for registrations that were paid in cash. In lieu of a refund, students have the option of applying their tuition to another class in the same calendar year. For those wishing to cancel a registration prior to the class registration deadline, 100% of the tuition will be refunded minus a $25 administrative fee. For registration cancellations received after the registration deadline but prior to the first class session, 50% of the tuition will be refunded minus a $25 administrative fee. As of a class start date, no refunds or credits/exchanges will be given. Tuition is not prorated for missed class sessions. Sign Up For Our eFlash!